The Swedish IKV-91 Tank Destroyer, AKA Infanterikanonvagn 91 was developed as a replacement of the STRV 74. After the move to turret less tanks by Sweden to lower their profiles, the IKV-91 managed to maintain the low profile but with a turret which had a tampered front. It wasn’t classed as a tank, but a tank destroyer. It was equipped with a Bofors 90mm rifled Cal Length 54 main gun. It could carry a staggering 60 rounds of either HEAT, HE or sabot rounds. It had a modern FCS which included laser range finder and night vision equipment giving a rate of fire of 8 rounds per minute. Empty cases were ejected from a hatch. It had a coaxial 7.62mm and one on the commanders cupola for close encounters. The vehicle has excellent mobility. Powered by a Volvo-Penta 6-cylinder turbocharged diesel giving a top road speed of 65km/h with an operation range of 550km. The vehicle is fully amphibious and propelled by its tracks. It has a four man crew, commander/gunner/loader in the turret and the driver front left in the hull. Development started in the 60s’ with the first prototype completed in 1969. The vehicle was developed and manufactured by the Swedish firm Hägglund and Söner. 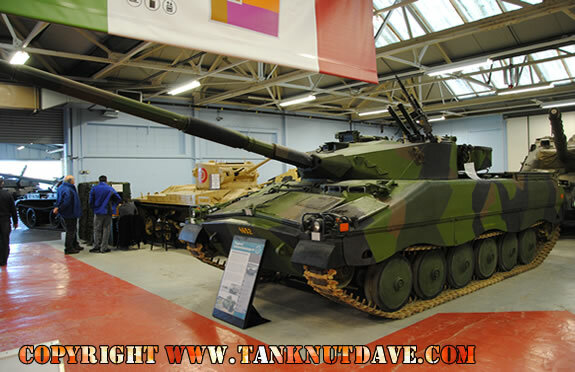 The vehicle entered service with the Swedish Army in 1975 with production ending 1978. 212 vehicles were manufactured. It wasn’t purchased by any other countries, But Rheinmetall did develop a new turret housing their RH-101 super-low recoil cannon. It was field tested by both Sweden and the Indian Army.